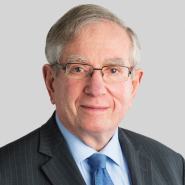 As a leading international arbitrator, Kessler draws on experience (both as private counsel and senior government counsel) in international investment, infrastructure, energy and service projects as well as political risk insurance contracts. He is fluent in Spanish and has presided in arbitration proceedings conducted only in Spanish. Kessler is knowledgeable in all aspects of U.S. export controls, including ITAR, EAR and OFAC, and has successfully managed complex voluntary disclosures and investigations related to the above. He has worked with a variety of clients in the Latin American market, as well as in Europe, Africa and the Middle East. Kessler is a member of the American Arbitration Association's International Panel of Arbitrators, the London Court of International Arbitration, the World Bank's International Center for the Settlement of Investment Dispute's (ICSID) Panel of Arbitrators and Conciliators, the International Chamber of Commerce's U.S. Arbitration Committee, the American Society of International Law and the American Bar Association. He also serves as the National Coordinator for the Export Legal Assistance Network, a pro bono program affiliated with the U.S. Department of Commerce. For more than 10 years, Kessler served as President of the Inter-American Bar Foundation, which works with governments of the Western Hemisphere to improve the administration of justice and to establish or strengthen institutions for arbitration and other forms of alternative dispute resolution. Kessler is a graduate of Harvard Law School and Oberlin College.